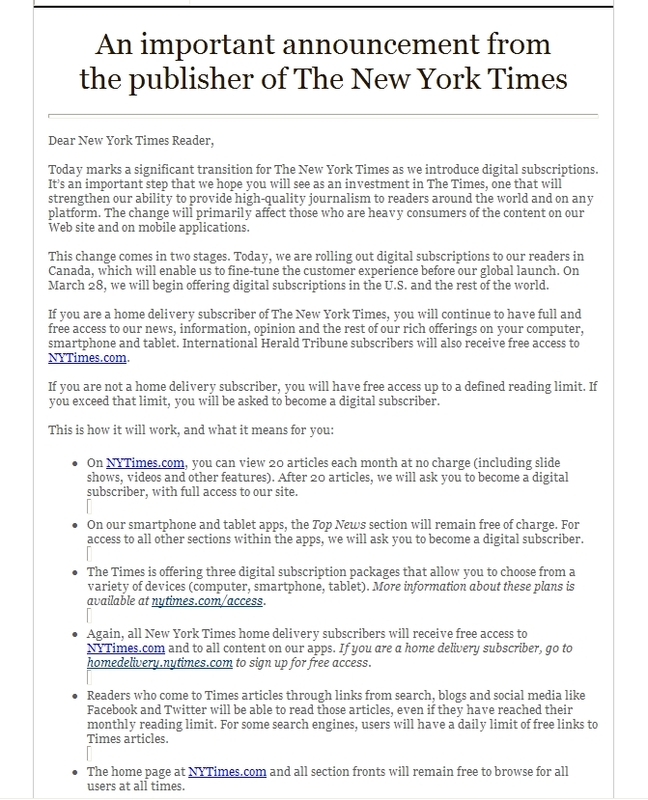 New York Times just went paywall - very big day in the history of internet content. I think they overpriced but thats another discussion. I wonder if they are going to add “more” software functionality for paid users – searchable databases, content markup where you can save notes and come back later, forwarding to a friend with comments etc. 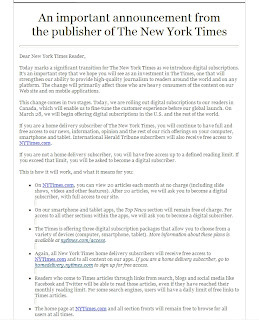 At a minimum i think that people paying $195 a year should be served content in ad free format as "YOU" are now their customer rather than the advertisers.